The Clyde could produce so many images, but what struck me is the fact that this looked like an estuary when it’s not. 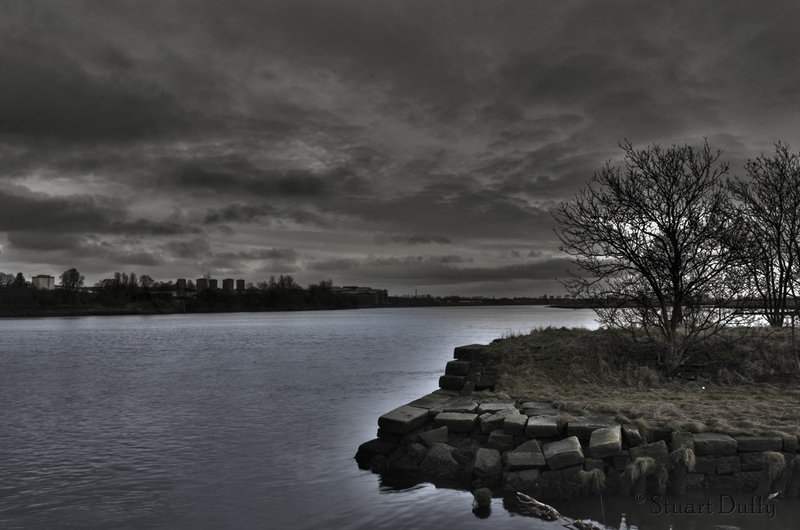 HDR allowed me to manipulate the image to give the emotion of solitude, something I was feeling, inspired by the vista. I did take the ghosting light from around the land in the foreground but I didn’t like it as much, I liked the way it made the river wrap around the land making it more eerie. ← What’s better, the question or the answer?